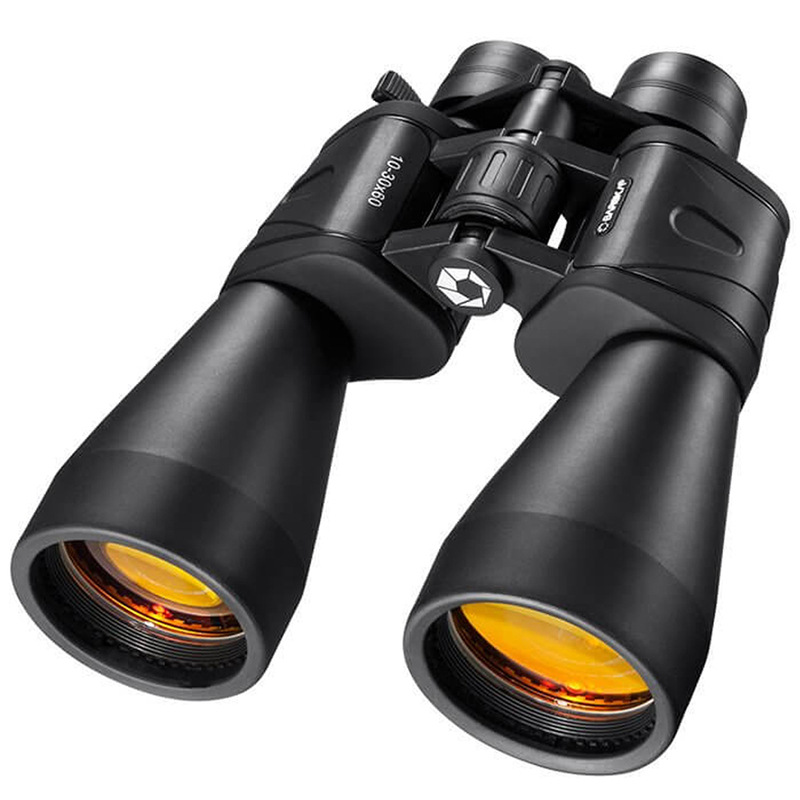 Whether your gaze is terrestrial or celestial, Barska’s optical binoculars are designed to do more than just “zoom in”. Whatever it is you seek, you’ll likely find it with the Gladiator Binoculars from Barska in hand. Designed for long-distance terrestrial and astronomical viewing, these heavy-duty binoculars are equipped with BK-7 porro prisms and tinted lenses to help lessen ultra-violet glare while offering up to 30x magnification. Complete with a storage pouch and a handy neck strap, Barska really has all of their bases covered! Crafted from strong, durable materials. BK-7 porro prism provides a crisp image in any weather. Multi-coated tinted optics for sharp, crisp images. Equipped with 60mm objective lenses. 65-meter field of view at 1000 meters. Includes lens covers and a neck strap. Comes with a convenient carry case. Presented in a Barska box. Dimensions: 23.2cm (l) x 7.6cm (h) x 19.8cm (w).